Some of you already know this, but I’m in the process of rewriting my debut novel, Blue Sky Days. I wrote it when I was 20, then about 7 years later decided I wanted it to be my debut novel, so I pulled it out and rewrote it. My life experiences and writing experience helped me fix all the issues I had with it originally (mainly the fact it was only about 40,000 words and I knew that wasn’t long enough). I’m extremely proud of BSD for a variety of reasons, but over the last year or so there have been things I wished I could add or change. I didn’t feel like Emma and Nicholas’s story was complete. Now I’m going with the ‘third time’s the charm’ theory and I’m planning to relaunch the book in June with some changes and additions to the story, a new cover, and a new synopsis. June 27th is the 20-year anniversary of my dad’s death. He was diagnosed with leukemia in 1992, and spent the next two years in and out of hospitals battling the cancer. After two long, hard years, his body couldn’t take anymore, and he passed away. For those of you who have read Blue Sky Days, you’ll know the story has a cancer storyline. My dad was part of my inspiration for the story. For a long time I’ve wanted to do something special to honour my dad. I decided to have the relaunch on the anniversary of his death, and this is where you lovely people (hopefully) come in. I’m planning a book blitz from June 27th until June 30th. During that time, half of all proceeds from the sales of Blue Sky Days will be donated to the Canadian Cancer Society in honour of my dad. 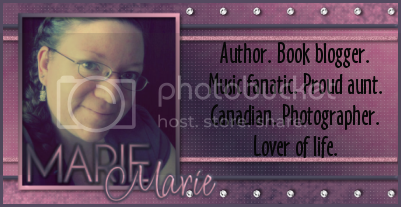 Even though there are many blog tour companies who are extremely talented and do a great job, I’ve decided not to pay someone to host the blitz because I want to make an additional donation to the Canadian Cancer Society, and I could use the money I would spend on a blitz. Sign up for the book blitz. Whether you’re a book blogger or an author, if you have a website or blog and are willing to do a post between June 27th and 30th, please sign up. I’ll send out all the information at the beginning of that week, and you can use my pre-written HTML post, or create one of your own. Donate money toward a prize. I’d like to have a tour-wide Rafflecopter with several cash prizes*. For everyone who donates money toward the giveaway, I’ll add an entry of your choice in the Rafflecopter (for example, the entry could be to follow your blog, like your Facebook page, follow you on Twitter, etc). I’ll also add your name and the link of your choice to the HTML that goes out to blitz hosts, as well as a special page on my blog that will remain up permanently, and will hopefully continue to drive traffic to your site or get you likes/follows. Spread the word. If you know people who might be interested in participating in the blitz and/or donating money toward the prizes, please share this blog post with them, or feel free to tweet about it, post it on Facebook, etc. I’d be extremely grateful to anyone willing to spread the word and get more people on board. *Why cash prizes and not gift certificates? I recently discovered that if an author sends an Amazon gift card to a blogger and they buy and review a book with that gift card, their reviews could be taken down from Amazon. Don’t ask me how it works or why Amazon does it, but now I’m wary of sending out gift cards since I know a lot of people do post reviews on Amazon. I’d like to do PayPal cash prizes instead and then the winners can use the money for whatever they want. Every cent of donated money will go toward prizes. You have my solemn promise that I won’t keep any of it. How ever much I receive in donations will be divided into prizes. So for instance, if the donations total $50, I could have 5 prizes of $10 PayPal cash or 2 $25 prizes. I’ll figure out how to divide it later, but I want to assure all donors that their money will be used solely for prizes. If you’re interested in participating in the blitz, please fill out this form. There’s an extra space at the bottom with instructions for donations.